The time it takes to load your site can make or break a visitor’s first impression of your site. If your site takes too long to load, the visitor will click “Stop” or “Back” and leave your web site. If you are a business and offering people important information, it is critical to have a nice design, with a quick load time. You may want to check out the load time of your page, to indeed see if your site loads quick enough for the average user. A great site tool can be found at http://www.websiteoptimization.com/services/analyze/ where you are able to enter your site and it displays a report on the time it takes to load your site on different connections, in addition to tips to decrease load time. Upon doing a speed test, if your first page takes a great time to load in the visitor’s browser, it is in the best interest to do some redesigning to decrease load time and increase the number of visitors that will not click back on the browser. We must remember that not everyone is running on a Cable modem. Many users are on mobile devices, using 3G or 4G. As web designers and site maintainers, we want to ensure our site’s load quickly, as to not lose potential visitors to your site. Images, Sounds & Animations are the major menaces to download time. While these add nicely to a site, they may take up a lot of time to load. If you may avoid large sized files, please do. Many images may be optimized to look the same, however taking up less space, and download more quickly. Many image editors such as Adobe Photoshop or Affinity Photo can perform these tasks. Sounds & Videos should be avoided on your main page, as they take up most time to load. Keep these for inner pages if possible. Videos and sound files can be from 100 KB to 1 MB in size or larger. If the user needs to load a 500 KB video file on a 3G connection, it will take upwards to 89 seconds to complete. This definitely could turn the user away from your site. So keep these files to a fairly small size, or avoid if possible. Text can also play a significant role in the load time. If you have a large amount of HTML code and large amount of content on your main page, it will also increase the load time. Text however is not as significant, as the entire text you have on the site may not be even the same size as a couple of pictures combined. So limit the large sized graphics on your web sites. Image compression is essential. Your visitors will appreciate the fast loading site with the information they are looking for. If you need a fast loading website, visit: http://gsquaredstudios.com for more information. Across a period of time a logo is the image which symbolizes a corporation, its products and services in a complete explanatory manner. Its purpose is to create an unforgettable, familiar feeling on the mind of a potential client or customer. It’s undoubtedly a logo which can be termed as the heart of a company’s corporate identity. So in a nutshell a logo is a trademark of a company or organization. It’s the identity that encapsulates what your company stand for and what it wants to achieve in its lifetime. Companies do spend thousands, if not millions of dollars just to have the right logo. So what are the ingredients of a first-class logo? Well this isn’t so far from the truth. A good logo catches the eye; it makes the observer curious and engaged, doesn’t matter if only for a short moment. And that is the moment in which an image and the subsistence of your company gets embedded into the minds of your customer rather than filtered out with a million other daily options. Your company’s logo will be your visual tool to stimulate attention and leave a greater impact to your target audience that words may fall short of. Over time, logos prove to be the simplest and most direct way of promoting one’s business presence. Make your logo give you your brand name recognition. It is your visual appeal to any document or web page because of its unique graphic image. People tend to remember a catchy logo at a much higher rate than nearly any other advertising element. When designing your logo, there are several things to keep in mind to achieve you goals: be unique, be true to the company, consider the psychology of your target market, and, above all, keep it simple. Your business logo will most likely be used for many purposes: business cards and letterhead, outdoor designs, the Internet and promotional items such as T-shirts and mugs. The logo has to look good when resized to fit on a small 2″x 3.5″ business card. If the design is complex a lot of detail will be lost when the logo is shrunk to fit on the card and people might not be able to make out the design. Elaborate designs can also be difficult and expensive to put on T-shirts and mugs. Complex or over-the-top designs can mean high printing costs. A decision to have a highly complex custom design logo for your firm can come back to haunt you. This doesn’t mean that your custom design logo has to be simple (and boring) for it to work. An elegant logo design can enhance your firm’s professional image. The trick is to find the right balance between design and functionality, where you have a great design that you can use for all purposes. Design of a company or product logo should not be tagged on to an advertising campaign at the end of the planning process. It deserves to be examined and integrated into the body of the campaign; it should not be the tail of the dog. A good logo is developed at the front end, the part that bites. Planners need to communicate to the graphic designer certain key information about what the company or product goals are. They need to pass on to the artist a demographic picture of their target consumer – age, income, where they live. All of these factors are brought into play in the strategic planning process. Too much information can be just as complicated to handle as too little. Seeing too many sources might encourage the prospective logo purchaser to select a supplier at random and hope for the best. Given the prolonged expected life cycle for a company logo and the significant part a logo plays in image recognition, playing selection games can be devastating. But what can a newcomer do to get the best bang for his logo? These days the savvy of risk in online business is becoming quite substantial, anyone with a computer and internet access can put up a logo design business. You could’ve pay a boy working as a freelance and charging $40 to draw your logo. Who knows? Maybe he’s good, but there is more to logo design than nice pictures. Logo designers need to recognize the association that should exist between the logo and the image the company wants to send to its customers. Logo designers have to have some business understanding and business know-how in order to design logos that increase sales. Mostly the cheap plan logo designers won’t provide the final design in multiple formats such as a bitmap image and a vector image. Knowingly these both formats are very necessary, you use bitmap for your website and interrelated purposes whereas vector for printing up of the visiting cards and corporate stationery. Usually cheap logo designing plans are not backed up by any money back guarantee, might be the reason can be, they don’t really possess any satisfied customers. Some logo designers present very affordable logos where you get no or very few alterations. In additional words, they’ll give you one logo. If you don’t like it, that’s your problem. Typically they then charge extra for alterations. This in itself isn’t really dishonest – as long as they are upfront about it. It does become deceptive when it’s buried in fine print. Creating a logo is always a process – though different designers have their own methods. Many designers will begin by sketching thumbnails or playing with shapes on the computer screen, until something “clicks” and they follow that path to see where it leads. One way to start is to select a shape which represents the concept of the company, and begin playing with it. The idea is to come up with something interesting or clever, whether a viewpoint which is different, or an unusual combination of shapes. Perhaps it will be something which will require some guesswork on the part of the viewer, but then be crystal clear when they look at it another way. Consistency in use of logos, tagline, materials. Repetition of similar elements, used in the same or similar ways. This helps people to remember who the company is and what do they do? Must contain an element of memorability so that the logo stays at the forefront of potential clients’ minds. That way, they’ll think of the company next time they have a need. Meaningfulness so that the logo can spread the message about the distinguishing characteristics of one’s business. The uniqueness factor helps one stand out from the crowd. For example, if everyone in one industry uses a particular symbol (i.e., airlines often uses airplane tail), try to use something else that way, the logo doesn’t just look like everyone else’s. Professionalism in the eminence of the graphics, the printing and the paper on which the materials will be printed. Timelessness in the logo will ensure that one don’t have to redesign the logo in just a few years and that the investment and equity in the design will be lasting. Remember, Knoxville logo design is an essential element to your general marketing strategy. Put in the necessary time, effort, and creativity, and you will end up with an effective, memorable logo that will go miles towards developing the positive brand appreciation and recognition you desire. A logo is essentially at the heart of corporate identity. It is the face of an organization. The right logo design can be one of your strongest marketing tools. It delivers the message to the public that a company is unique, credible and professional. Make it stylish. Make it elegant. Make an impact. Incoming links from websites comparable to your own are essential. This shows that your website does have material associated to that subject. Plus, it suggests that your competitors discovers your website important, which provides your website more reliability. 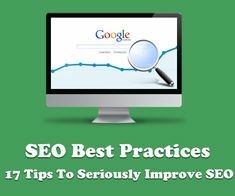 Links like http://gsquaredstudios.com/seo-knoxville are essential to success. Websites that are on.edu and.gov high-level domains have a big quantity of trustworthiness due to the fact that they are extremely hard to obtain. If you can get the designers of those websites to connect to you, that provides your website more reliability. Material is king. The more material you have on your website, the more there is to be indexed and appear in search engines. Connect text is another fantastic location to put your keyword expression. Hyperlinks stick out on a lot of Web pages, therefore are offered greater top priority than surrounding text. A fantastic method to obtain incoming links is to merely request them. Keep in mind that extreme cross-linking can be seen as spammy, so be cautious about trading links or otherwise purchasing links on external websites. Easily accessible HTML is available to both online search engine spiders and screen readers. The more easily accessible you make your pages, the simpler it will be for search engines to check out and rank your pages. The title tag is among the most essential tags on your Web page. And positioning your keyword expression in the title tag, ideally at the start, is extremely important to obtain that expression into the search engines. Plus, that puts your keyword expression as the link in the online search engine index. Putting your keyword expression in your domain is an excellent method to enhance for that expression. Develop an excellent keyword expression. Distinct material is essential too. You have to offer material that has various details than exactly what is on other websites and other Web pages. Include brand-new material all the time. Websites that have brand-new material on a routine basis are viewed as more dependable than websites that hardly ever do. This likewise assists you to increase the quantity of appropriate material on your website, which likewise enhances your rankings. The ratio of your keywords to the remainder of the text on your page is called the keyword density. It’s essential to repeat your keywords in your file, however not excessive. Keyword density must be in between 3 and 7% for your main keyword expression and 1-2% for any secondary keywords or keyword expressions. Utilize your keyword expression in headings. Heading tags (h1, h2, h3, etc.) are a terrific location to utilize your keyword expression and secondary keywords. Search engines acknowledge that headings are more vital than the surrounding text, therefore appoint higher worth to keywords discovered there. The very first thing you need to do when dealing with search engine optimization is discover a fantastic keyword expression for that page. You should not attempt to enhance your whole website to one keyword expression – rather concentrate on composing pages for particular keywords and expressions. Even if you cannot get your keywords into your domain, you can put them into your URLs. Search engines check out the URLs and designate worth to the text they discover there. Trustworthy websites that connect to you will increase your online reputation. If a credible website feels that your website is important enough to connect to, that implies that your page has more worth. When attempting to choose on a keyword expression, you desire to discover one that is popular however not very popular. You’ll get more pageviews from a less popular keyword when you’re on the very first or 2nd page of the search engines, than from an extremely popular keyword that you just make it to page 50 of search engines. Knoxville SEO services are all about doing the right things to help your website rank. Hollywood Ending Web Design Copyright © 2019. ©2016 Hollywood Ending. All rights reserved.